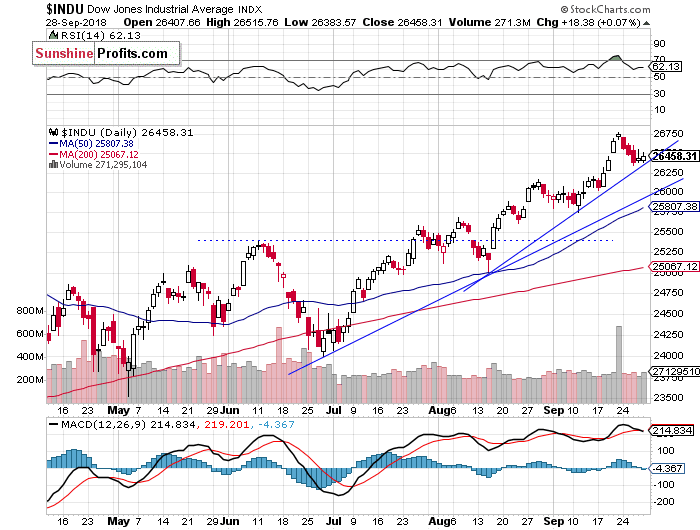 Will Stock Market Uptrend Continue? Stocks were virtually flat on Friday, as investors continued to hesitate following the recent record-breaking rally. The S&P 500 index remains close to its September the 21st record high, but will it resume its uptrend? The U.S. stock market indexes were mixed between 0.0% and +0.1% on Friday, as investors sentiment remained basically unchanged following some economic data announcements along with the third quarter's ending. The S&P 500 index has reached the new record high of 2,940.91 more than a week ago on September the 21st. It currently trades 0.9% below that high. The Dow Jones Industrial Average gained 0.1% and the technology Nasdaq Composite gained 0.05% on Friday. 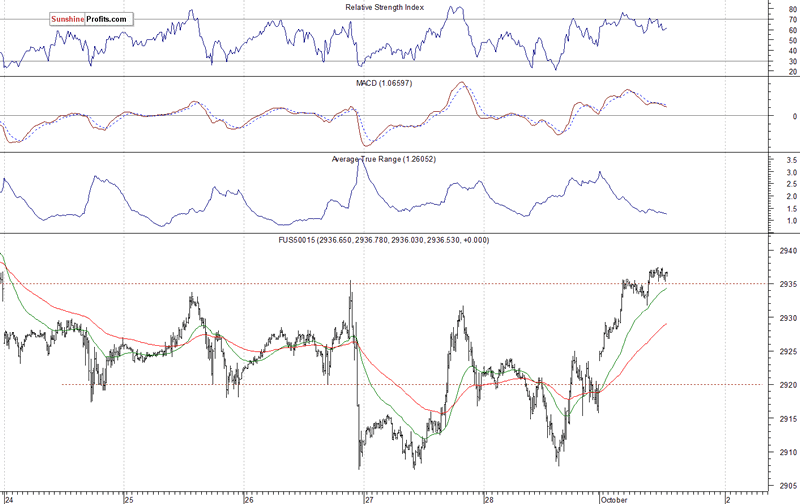 The nearest important level of support of the S&P 500 index remains at 2,900. 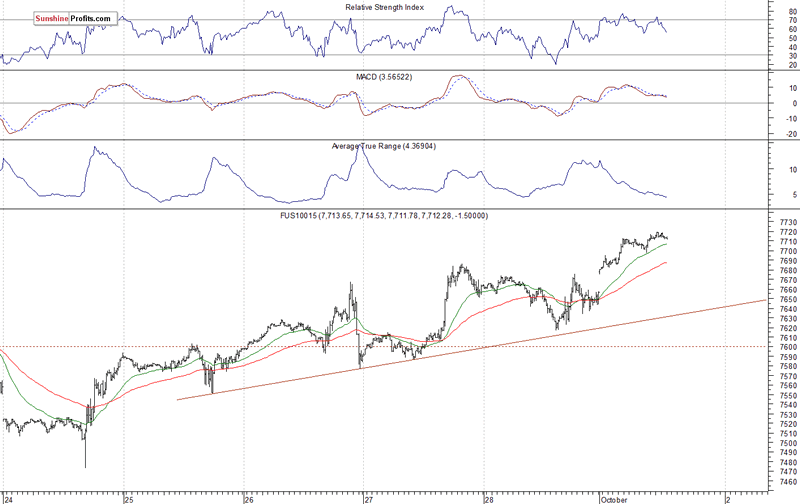 The support level is also at 2,885-2,890, marked by the recent local lows. On the other hand, the nearest important level of resistance remains at around 2,920-2,930, marked by last week's Monday's daily gap down of 2,923.79-2,927.11. 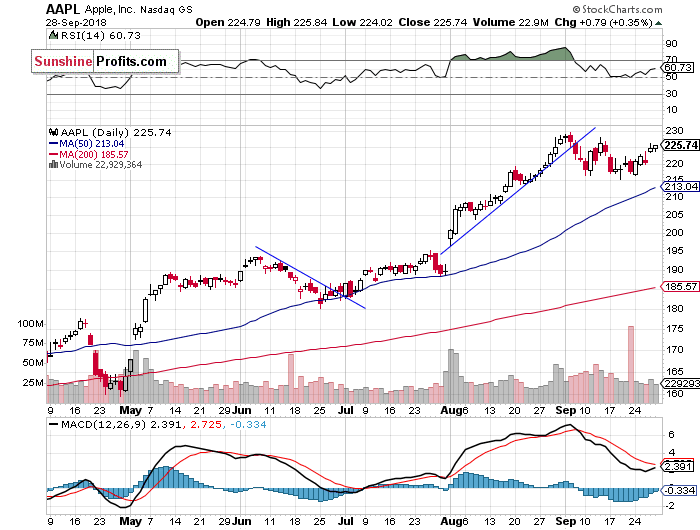 The resistance level is also at 2,940, marked by the record high. 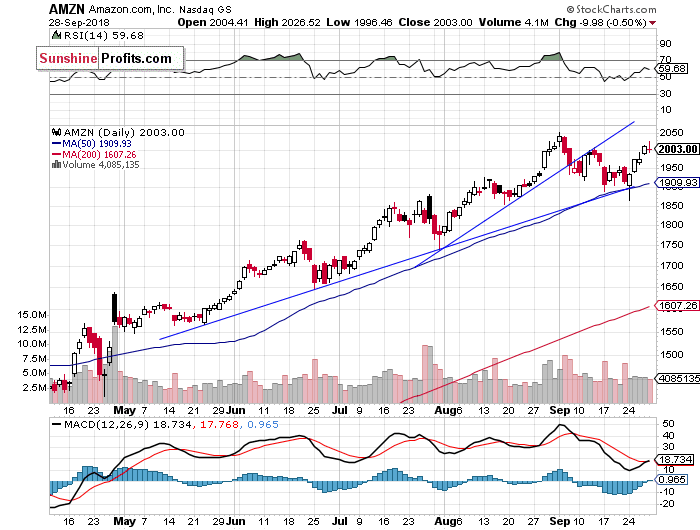 Positive Expectations, but Will Uptrend Continue? The index futures contracts are trading 0.6-0.7% above their Friday's closing prices this morning. So expectations before the opening of today's trading session are positive. The main European stock market indexes have gained 0.2-0.6% so far. Investors will wait for some economic data announcements today: ISM Manufacturing PMI, Construction Spending at 8:30 a.m. 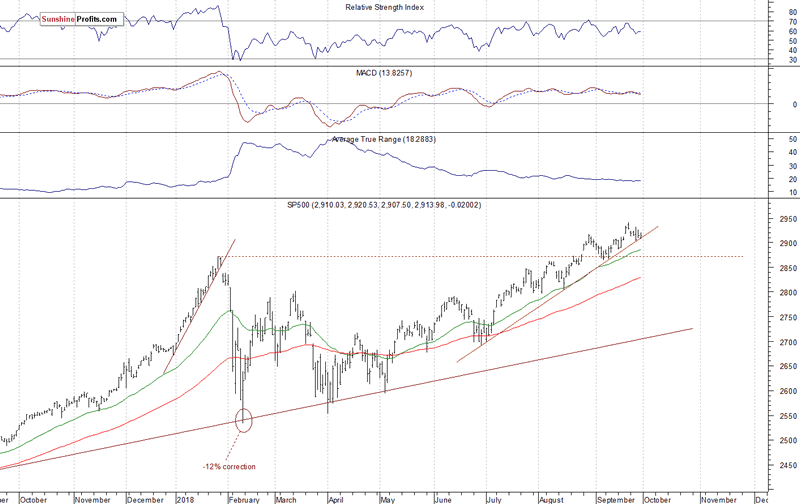 The broad stock market will likely take an attempt at extending its medium-term uptrend today. But will it break above the mentioned September's record high? It's hard to say. If it breaks higher, we could see more buying pressure. There have been no confirmed negative signals so far. The S&P 500 index retraced some of its last week's record-breaking advance recently, as investors reacted to the last week's Wednesday's Fed's interest rate hike. For now, it looks like some relatively flat correction within a medium-term uptrend, because the index continues to trade above its upward trend line. Concluding, the S&P 500 index will probably open higher today. We may see an attempt at reaching the new record high, because the market trades just 0.9% below its September the 21st high of 2,940.91. There have been no confirmed medium-term negative signals so far.